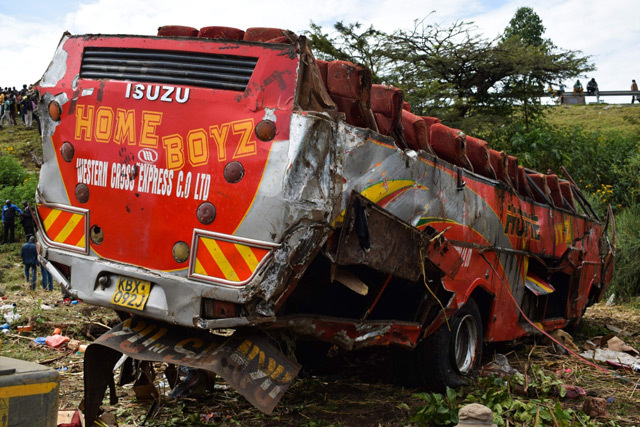 The faded red bus, emblazoned with the name "Home Boyz", was later righted. The torn-off roof could be seen lying at a distance. 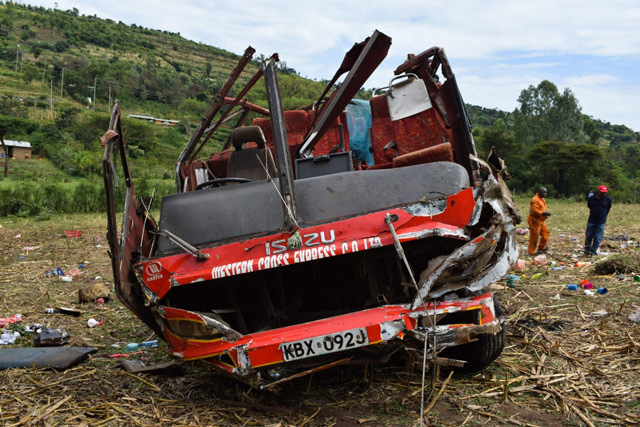 However James Mugera, the Kericho County Police Commander, said there were 50 fatalities: "Those who perished include 31 male passengers, 12 women and seven children. There are about 10 others who have been rushed to various hospitals with serious injuries." Dozens of people milled around the accident site and goods were strewn over a large area, footage showed. President Uhuru Kenyatta called for an investigation into the tragedy. "My heartfelt condolences to the families of fellow Kenyans who lost their lives in a tragic road accident at Fort Ternan in Kericho County this morning and wish those in hospital quick recovery," he wrote on Twitter. "I would like to remind drivers to always exercise caution to avoid such catastrophic incidents."